When you hear the words ‘nuclear’ and ‘disaster’ in the same sentence you’re only human if you feel a chill creep up your spine. Thankfully the word “potential” also remains key in the dialogue between US President Donald Trump and North Korean leader Kim Jong-un, as they prepare for the upcoming summit on this issue between their two nations on 12 June. Needless to say, if things turn sour on that day in Singapore it could set a global catastrophe in motion – preventing such an outcome won’t be simple, but there are plenty of examples within the business world from which the two leaders could learn much. CEOs and their companies come face-to-face with disaster – albeit on a somewhat less apocalyptic scale – on a regular basis. Some avert it – some don’t. President Trump, a prolific businessman of either high or low repute depending on who you ask, has already exhibited a degree of business acumen by cancelling the nuclear summit before rearranging it, getting Kim Jon-un to come to him, cap-in-hand. But there’s plenty more both leaders could be doing – here’s four examples of where they might turn for inspiration. The idea of employees or customers dying as a result of using your product is pretty much as nightmarish as it gets for a business leader – to say nothing of how the relatives feel. When such tragic accidents occur, it’s imperative that companies tread carefully. Too weak a response can appear dispassionate, too a strong a response can seem fake – or worse, sarcastic. Most businesses opt for traditional platitudes along the lines of “Our thoughts and prayers are with the victims of this terrible accident…” – which works in the barest sense of the word, but won’t win them any fans. When one pilot was killed and another injured in a Virgin Galactic space tourism craft crash in the Mojave desert, founder Sir Richard Branson used his response to avoid adding insult to injury, thus swerving a potential PR calamity. Almost immediately after the incident, he wrote a short statement detailing his own grief while planning a personal visit to the crash site to meet the people involved. Later, he wrote a lengthy message explaining the situation and his commitment to prevent it from ever happening again. The personal, human touch he used in this instance was sincere – and it worked. In 1982, seven people died in Chicago after taking extra-strength capsules of pain reliever Tylenol, which had been laced with cyanide. No suspect was ever charged as a result of the tragedy, and this ambiguity led to public doubt concerning the safety of over-the-counter medication. For pharmaceutical giant Johnson & Johnson and its CEO James E. Burke, this presented a terminal problem as once customers lose faith in a product, a company can begin to bleed customers. To avoid catastrophe, Mr Burke called a major news conference and announced his company would cease sales of capsuled products – which can be easily tampered with – and would only trade in solid caplets from then on. At no small cost, more than 32 million bottles of Tylenol were recalled, and Mr Burke issued an immediate apology as soon as news of the deaths arose. He and his team then set themselves a deadline of 60 days to make the new products completely tamper-resistant – which they met. He has since become known as a strong, decisive leader – Fortune magazine named him one of history’s 10 best CEOs and the Tylenol disaster is commonly referenced as a definitive guide to handling public crises. In a similar vein, PepsiCo skilfully averted a potential crisis in 1993 when a syringe was allegedly found in one of their cans of soft drink. After this incident, which occurred in Washington state, was made public knowledge, 50 more reports of Pepsi can tampering cropped up across the US – all of which turned out to be fake. PepsiCo and the US Food and Drug Administration (FDA) were confident the accusations were unfounded, and responded accordingly. Many companies in the soft drink giant’s place might have played it safe by issuing an apology, instead PepsiCo released video documentation of its canning process unequivocally proving the allegations as false. Then-CEO Craig Weathrup made multiple news appearances bearing visual evidence of the validity of his company’s canning process. He also had the support of the FDA – including its commissioner David Kessler, with whom he jointly addressed the public on ABC’s late night news broadcast Nightline. 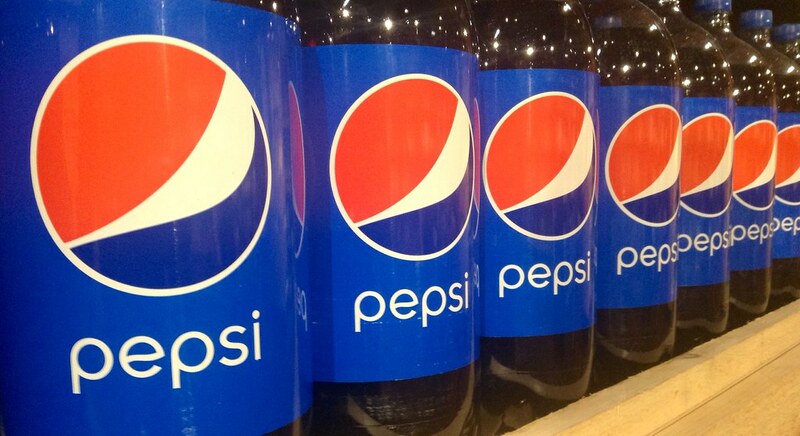 Mr Weathrup’s actions reassured PepsiCo’s customers, and within two weeks the rumours subsided and multiple arrests were made by the FDA on those who filed false reports. The company sustained a 2% dip in sales while the allegations were swirling but recovered in less than a month, in addition to earning a reputation as a headstrong organisation with confidence in its products and processes. In 2011, Yum! Brands, Taco Bell’s parent company, was sued over the contents of its “seasoned beef” taco filling which, according to the lawsuit, contained just 35% beef. It was a double-pronged attack that not only accused the company of selling a beef product with particularly low beef content, but also of lying via its advertising campaigns. Taco Bell wasted no time in stating the allegations were false, and immediately shared with the public the actual amount of beef in its product – 88% – as well as the ingredients used in the other 12%, known as the ‘secret recipe’. It used a combination of newspapers, online marketing via YouTube, its Facebook page, and more to spread the word to as many demographics as possible, as quickly as possible. Spectators and commentators both expressed admiration for the swift and decisive action Taco Bell took. In under four months, the lawsuit was dropped and the company had successfully avoided what would have been a crippling crisis.